Easily tap into the AC power of any light pole to output a regulated 12, 24, 48, 56 Volt DC & even PoE . Plug & Play power solutions for Surveillance Cameras, Cellular Gateways or Antennas. Allows you to quickly turn any IP cameras wireless. 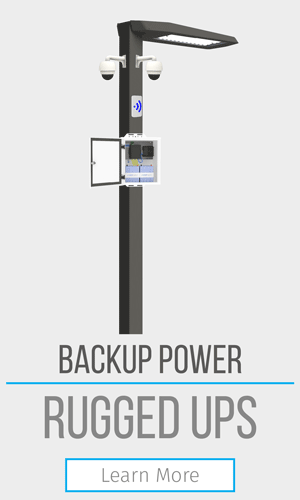 Outdoor UPS Uninterrupted Power Supply was designed to provide continuous power from a part time, or unreliable power source. 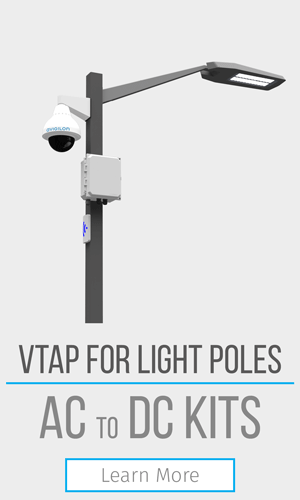 An ideal solution for installing wireless equipment at a light pole that only has power at night. 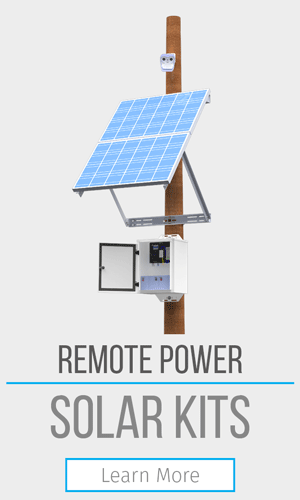 Pole/Universal Mount Solar Power Kits designed for extreme applications where no power is available or trenching is too costly. Simple Plug & Play. Options allow you to monitor how much power you generate, battery health, and power cycle equipment remotely. 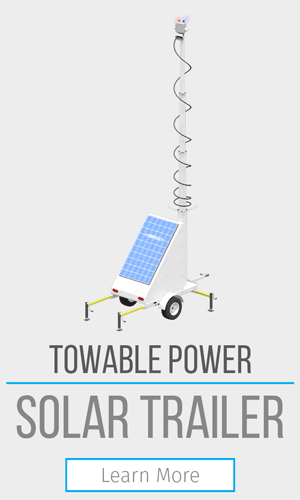 Complete Solar setup in one contained movable unit. Easily move with a forklift or other lift equipment. Class 1 Div 2 Options. 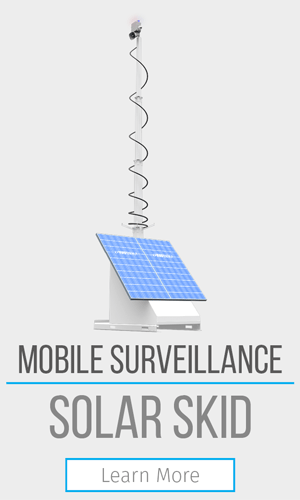 Perfect for powering surveillance around chemical, gas, & oil facilities. 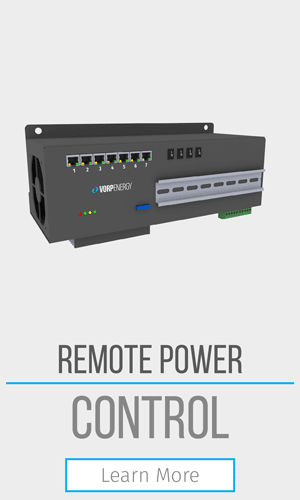 The Prodigy 48 allows easy remote monitoring and control of any Vorp Energy power solution. Power cycle individual ports and troubleshoot remotely via the web based interface. 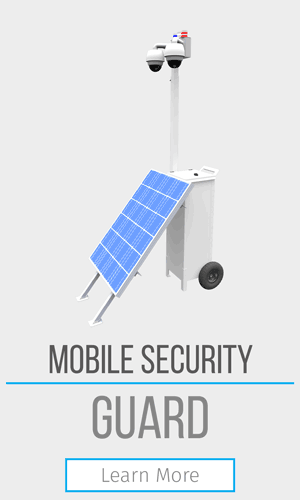 Easily upgrade the security of any event with the Mobile Security Guard. A wide variety of applications, including marathons / races, concerts, Saturday markets, or anywhere that needs a temporary extra set of eyes. Power for Cellular Gateways, designed for the most remote, extreme locations. 4000+ charge cycles, in a built-to-last enclosure means the Power Bunker will be in service for years to come. Rapidly deploy surveillance equipment where you need it most. This tow-able kit can be set up in a matter of minutes, no experience required. 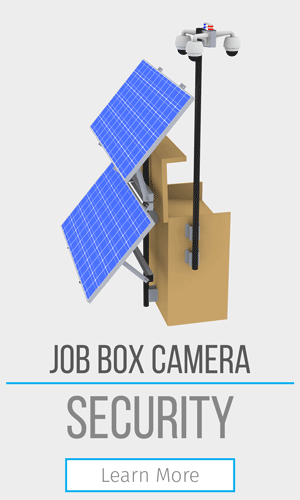 The easiest security solution for temporary and semi-permanent installation. 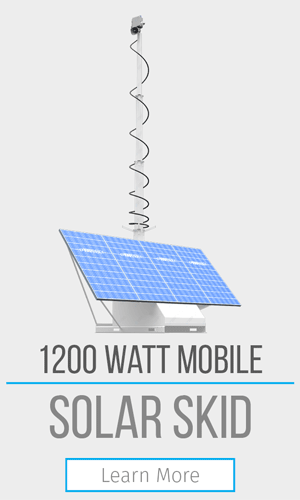 Complete 1200W Solar setup 0n one contained movable unit. Easily move with a forklift or other lift equipment. Adjustable tilt angle for any time of year. 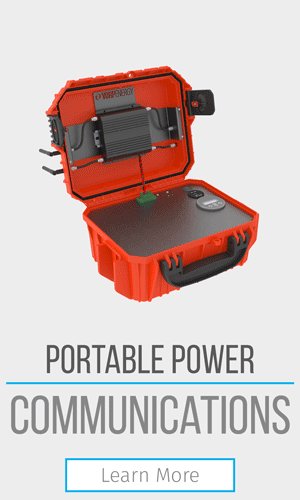 Perfect for powering surveillance around chemical, gas, & oil facilities. Vorp Energy’s Grid Buster was designed to provide complete independence from “The Grid”. 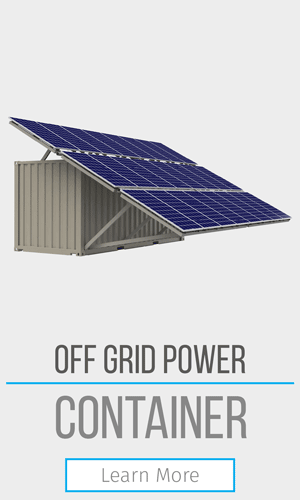 Whether powering a remote vacation home, or a deployable “Command Center”, the Grid Buster is scalable to meet any power requirement. 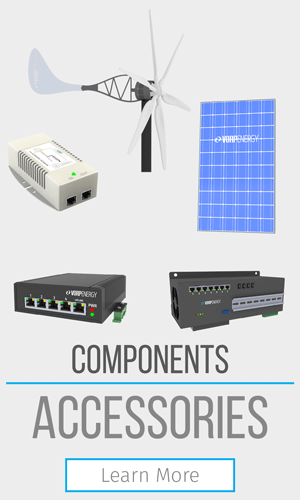 Panels, Mounts, DC to DC Voltage Converters, DC to AC Inverters, and DC to Power over Ethernet (PoE) devices allow for a complete customizable solution. All accessories are pre-wired into our Kits for Plug & Play installation.